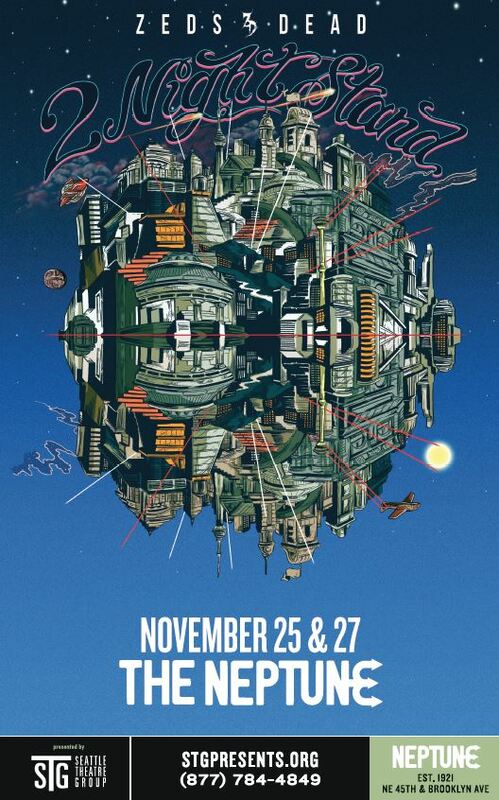 Zeds Dead announces the “2 Night Stand” Tour at the Neptune Theatre on November 25th & 27th! Today we announced a very special series of shows – The 2 Night Stand Tour – stopping by a few of our favourite cities in North America for an extended two night stand in some the most intimate and historical venues around. We wanted to go back to our roots with this one, away from the festival stages and big rooms, into the same rooms that rock and rolls greats came up in. And to give you a first chance to hear the unreleased music that we’ve been working on for our forthcoming debut album in an intimate room surrounded by fans and friends. We are so excited to share this tour and album with you, but since the rooms are small, the shows are expected to sell out fast, so we’ve created an early-bird ticketing request system to ensure that the fans have access to these tickets first. Didn’t get tickets to the sold out Zeds Dead “2 Night Stand” tour? Well today is your lucky day: Zeds Dead will be playing a 3 hour set after the Wednesday show at Aston Manor’s official Zeds Dead afterparty on the Wednesday before Thanksgiving, November 25th!